Slither Friends is an extension available for Chrome and Firefox which enhances your experience when playing Slither.io. It comes with awesome features that are designed to improve the social aspect of the game and are really nice to have whether you are a streamer or are simply looking to play with friends. Slither Friends does not give you an unfair advantage in any way and is just a tool for the official game. 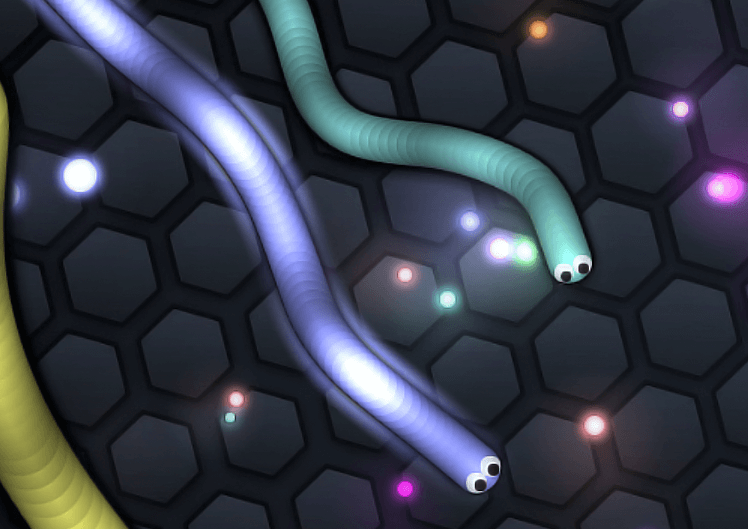 With the Slither Friends extension you can easily play Slither.io on the same lobby as your friend(s). Simply share your short memorable server id and start slithering! This feature is also very useful for YouTubers and streamers to allow their fans to play with them. 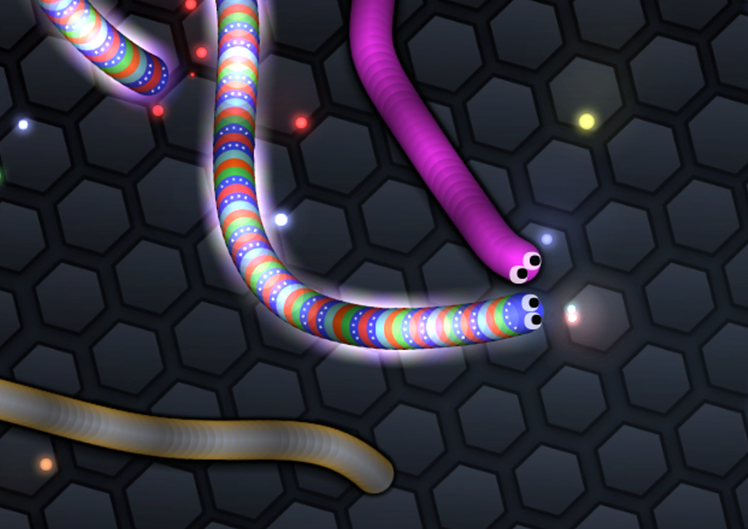 With Slither Friends you can design your own skins and use them in game. The best part is that anyone with the extension can see your skin. Not that creative or don't have the time to make your own skins? No worries! 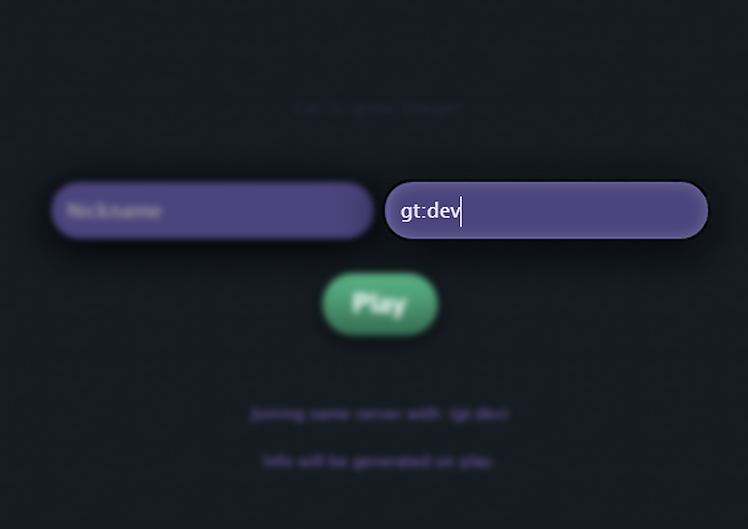 You can also browse and use skins created by other users. 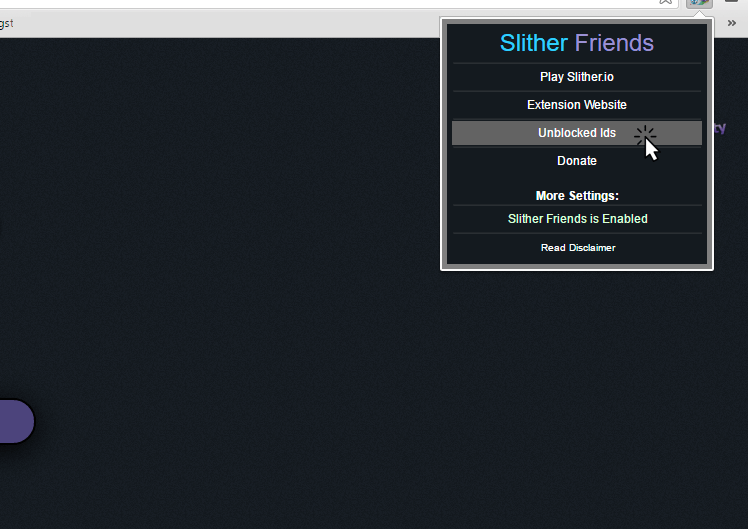 Does your favorite streamer use the Slither Friends extension? If they do and they have enabled group tags, then you can join them by simply inputing their group tag in the friends id box before you click play. This way when the streamer changes servers, you automatically switch servers aswell (once your snake dies)! Click the orange button to be redirected to the extension's download page. Have anymore questions? Just click the email button and we'll respond! © Slither Friends. All Rights Reserved. We are not affiliated with, authorized, maintained, sponsored or endorsed by Slither.io or any of their affiliates or subsidiaries.